I got these pumpkins at the Union Square Market on Friday after meeting with Beth and Sabina for a Collective-E jam session meeting. 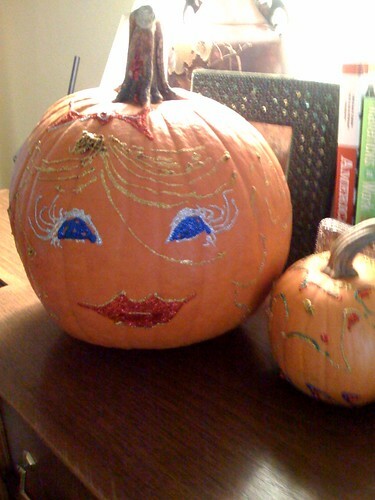 The pumpkins were bare naked babes before I squirted glitter glue on them Friday night. So fun. Glittery Therapy.